Understand Calcium Hardness & Pool Water Maintenance. 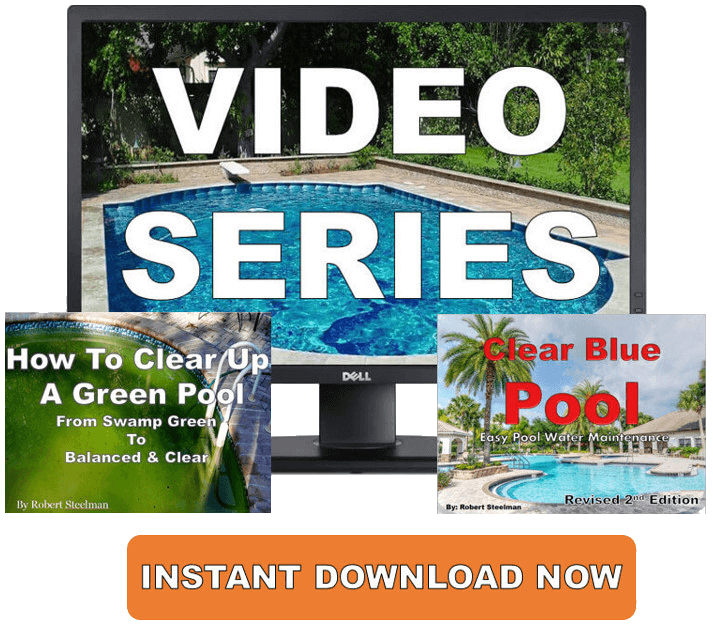 Learn Swimming Pool Water Chemistry & Hard Water Solutions. Water is hungry for calcium and will try to feed its appetite any way it can. Many times it will draw it from the plaster, which causes unsightly pitting, or from your filtration system, which will cause hard water deposits. Maintaining your pool's calcium hardness level between 150 ppm - 250 ppm will prevent this from happening. Some areas of the country may have very soft water or very hard water. The ideal range for perfect swimming pool chemical maintenance is 150 ppm-250 ppm, not 300 - 350 ppm or higher. This is especially true for saltwater pools and salt water pool system. If you add any more calcium hardness increaser your salt cells might calcify and burn up, shortening its life. You also run the risk of having hard water scale at the water line. You don't need take your tap water anywhere and have expensive tests performed. Simply call your local water company and ask them the calcium hardness of the water or use a good pool water test kit. Central Oregon has very very soft water, about 1 ppm - 2 ppm. Places like Arizona, Nevada, Florida, and Southern California might have water hardness that can reach 200 ppm-300 ppm or even higher. If you have a Hot Tub, spa, or heated pool, maintaining the proper calcium hardness in your water becomes even more critical. 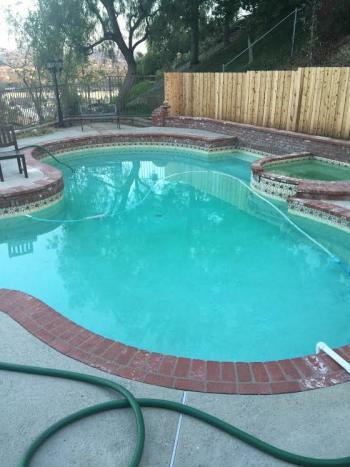 Most swimming pool problems result from bad pool chemistry advice given at the wrong time. This is according to the Langelier Index that has been used for above ground pool maintenance, inground pool maintenance, and salt water pool maintenance for decades. 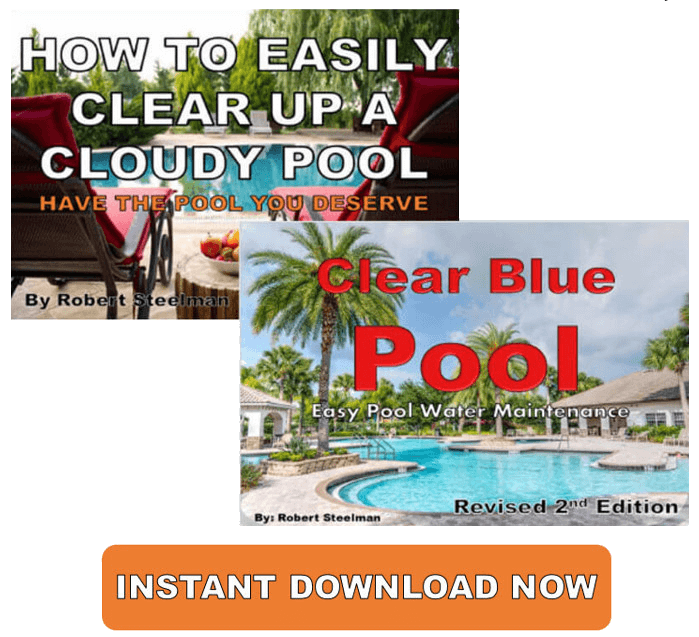 Keep in mind, proper balance of your swimming pool chlorine, pool pH, pool alkalinity, and hardness is of the utmost importance in having a safe and clear pool water. It will decrease your chlorine demand, muriatic acid use, pool stabilizer, and alkalinity increaser. One easy way to slow the progress of calcium rings at the water line is to keep the pH a bit more acidic, about 7.2 - 7.4. When you have softer water, you may need to add Calcium Chloride to correct the hardness level. DO NOT make slurry or mix the calcium chloride in a bucket with water. It may “steam” up and cause severe burns. Have a designated chemical bucket pool pole to stir up other chemicals. Also, when you add the calcium, you might have cloudy pool water. This is normal and should clear up with a few hours of filtration. If you have a salt water swimming pool with an in-line chlorine generator, be extra sure your calcium is at the correct level or else you may end up ruining your salt cells. The calcium will crust on the fins and before you know it, you're shelling out another $1000 for a new salt chlorine cell. Broadcast it directly into the pool, starting in the deep end and working around the perimeter of the pool. Apply the calcium as you would use a salt shaker. Any store that sells swimming pool equipment supplies or discount pool chemicals can help with your calcium needs. Having high calcium hardness (above 250-300 ppm) in your tap water is very difficult to keep down. Reducing calcium hardness is difficult. You may either replace some or all of your pool water or have pool water trucked in. When filling your pool with fresh water, be sure to test the tap water for its hardness. This will give you a good starting point to see if you need to add calcium chloride or not. Unfortunately there is no quick and easy fix on lowering your swimming pool water hard water. If you're using calcium hypochlorite pool chlorine, you need to stop right now. As the name says "calcium", it will increase your calcium hardness. Also, never use calcium chloride which increases the pool water hardness if your fill water is already in the right calcium hardness range. Here's a quote that I found. It says,"If replacing the water isn’t an option, you can use a flocculant to attract the excess calcium and cause it to clump. After you use the flocculant, clean the walls and floors of your pool to remove the excess calcium and then backwash and clean your pump filter." The author finishes by saying, "If none of these options work, you can also try adding an acid such as dry acid or muriatic acid to raise the saturation levels." Folks, this is patently false on many different levels. If it doesn't work? We're talking about pool chemistry and if the components are properly administered, it will always work regardless of where we are. Remember, anything you read or hear will either CONFIRM or CONTRADICT the Universal Laws of Pool Chemistry that apply equally to every outdoor chlorine and salt pool in the world. 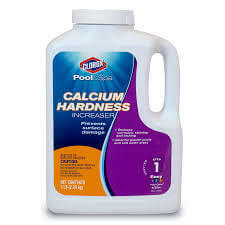 There is no chemical to effectively "reduce" or "decrease" calcium hardness in your pool, meaning, if I put this chemical in my pool water and come back in a week the hardness level will have decreased from 400 ppm to 200 ppm. My friends, that's bad information. And when we get bad information we're going to get very expensive and bad results. What is pool water hardness? Water hardness is the makeup of the minerals (calcium, magnesium, iron, etc...) that are naturally found in tap and pool water. When do I test for water hardness? The best time to take any tests is in the late afternoon or early evening. Maintain your pool’s hardness level between 150 ppm-250 ppm, not 350 ppm or above if you can. Where do I test the water hardness? The best place is either in the deep end of the pool or the furthest place from the filtration. Be sure to test you tap water as well so you’ll have the proper starting point with a freshly filled pool. Why should I test for hardness? Water hardness is one of the elements that make up the test routine. Included in this are chlorine, combined chlorine, CYA/pool stabilizer, pH, and alkalinity. Water is hungry for calcium and will take it from any source it can get. By keeping your water’s appetite for calcium fed and at the proper levels (if your fill water has low calcium hardness) you will minimize corrosive and scaling water, pitting of the plaster, clogged heaters and filters, and eye and skin irritation. These pool tips will save you time, money, and maybe even a few migraine headaches. Go swim and have fun with your family and friends.